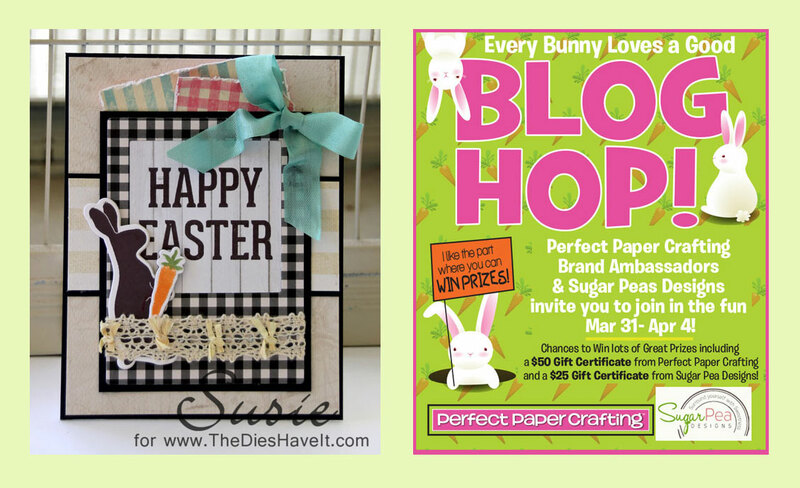 Created 4 Creativity : Every Bunny Loves a Good Blog Hop! Every Bunny Loves a Good Blog Hop! Welcome to our Perfect Paper Crafting Brand Ambassador blog hop. The blog hop starts today and goes through Friday, April 4 at Midnight PST. 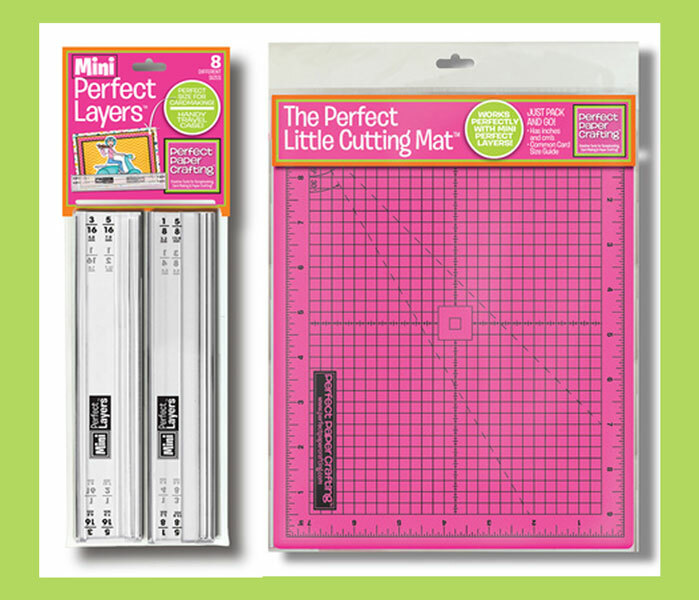 Our team will show you how to use our new Perfect Layers Mini tools and Perfect Cutting Mat. We are very lucky to have SugarPea Designs as one of our sponsors for this fun blog hop. SugarPea Designs is giving away a $25 gift certificate to their new on line store to one lucky winner. Also to celebrate our very first Perfect Paper Crafting Brand Ambassador blog hop, Perfect Paper Crafting will be giving away a $50 gift certificate to our on line store. All you have to do is visit all of the participating blogs and leave a comment on every single one. We will announce the winner Sunday, April 6. You have probably arrived here from Jenny Gropp's beautiful blog and now I will send you to the lovely blog of Kim O'Connell. Be sure to leave a comment on everyone's post for your chance to win our great prizes. Adorable! I'm convinced I need the mini tools now! What a cute bunny card, I loved how you put it all together. Super cute bunny card, love the use of black! TFS! Your Easter card is terrific! Lovin' those layers. Beautiful Card-makes me want to make some Easter cards today....thanks for sharing! The cards are wonderful. Makes me think spring is almost here. Wonderful Easter card and these mini tools are fab! This looks like a tool that should part of every card makers supply. Thanks for the great info. Love the layers you created. Beautiful job. Adorable card. Love that little bunny, so cute! TFS! Great Easter card! So pretty! Lovely card ,this is my first visit thanks to the blog hop,I am going to enjoy browsing all your makes for inspiration. Thankyou. What a cute Easter card! I love your title too :-) I absolutely adore how these rulers make such a big difference in cardmaking! Wow! A brilliant and revolutionary tool that every papercrafter should use! Thanks for sharing your pretty card. I can see these mini tools in my future. Love the bunny on the Easter card, thx for sharing. Love your color combination and layers you used.thank you for sharing. This is super cute! I have the original perfect layers tools, but I never thought about using them to place shapes an equal distance apart from each other like your three panels in the background. I will definitely have to keep that in mind! Thanks for the idea. Am really enjoying this hop! What a lovely Easter card, and like the monochrome with just little touches of other colours. The layer tool makes it so much easier to cut accurate mats too. Lovely card! I scrolled through some of your posts and you do beautiful work. Thanks! Wow, I seriously love the use of the bold black with the pastels. Gorgeous card!